Game 7. Those are the only 2 words you need to know about this game. Win or go home for both teams. Thankfully we have home court advantage. Game 6 was more what I expected to see from this team throughout this first round match-up. If Kevin Durant and Russell Westbrook would have played 10% better in Games 2-5, this would’ve been a 5 game series. 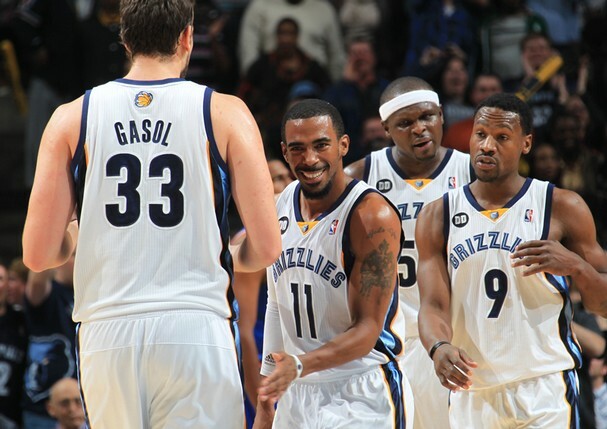 Instead, they struggled and allowed the Grizzlies to win three of four games that went to overtime. Durant doesn’t need motivation. There are some players that are self-motivated. Motivated by success. Motivated by legacy. Motivated by the hate to lose. That’s Durant. He’s been that way since day one. But sometimes, stupid headlines can piss you off to the point where it appears like motivation. If having your back against the wall wasn’t motivation enough, then this headline probably served as a accelerant, not only for Durant, but also for the entire team (coaches included). Game 6 is more the pace that I expected to see from the team. Russell Westbrook playing a smart game, Serge Ibaka controlling the paint, Reggie Jackson giving what was needed when he was in the game, and Durant being his MVP self. More importantly, though, nothing came easy for the Grizzlies. The Thunder completely iced any pick and roll and the Grizzlies were not up to the task from the perimeter. 1. Adjustments – Oklahoma City made them in Game 6. The Grizzlies are being forced to make them in Game 7. 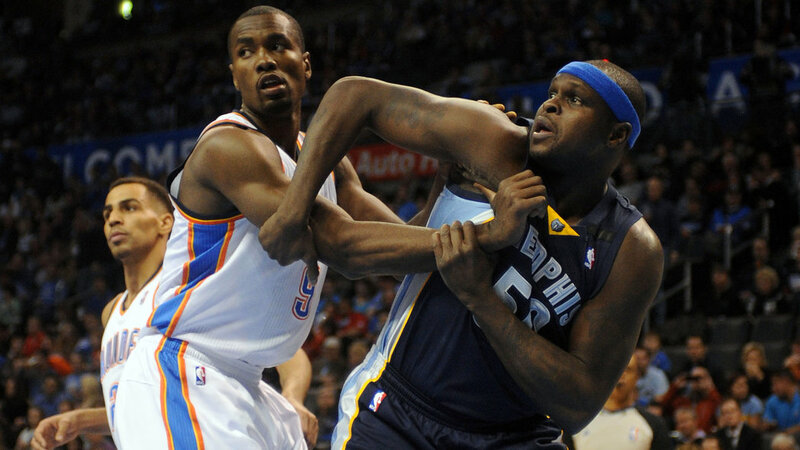 The Zach Randolph suspension not only throws a wrench in the Grizzlies’ plans, but also in the Thunder’s plans. What do the Grizzlies plan to do? Will they start small with James Johnson or Mike Miller or will they remain big with either Kosta Koufos or Ed Davis? If the Grizzlies go small, expect to see Perkins’ minutes go down extensively. 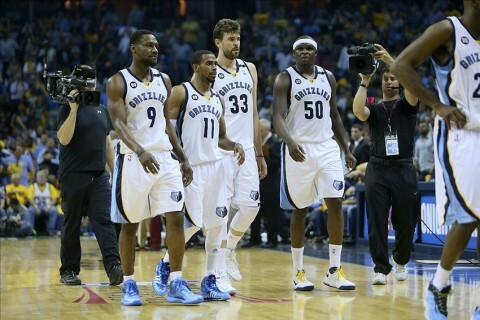 If the Grizzlies go big, business as usual. 2. Injured Bears – Randolph and Nick Calathes suspended. Mike Conley has a strained hamstring that he says would have kept him on the sidelines if this was a regular season game. Tony Allen is questionable because of migraines associated with an injured eye suffered in Game 6. To all of this, I say, poppycock. To me, all this information is lip service. Conley and Allen will play and will leave it all on the floor. 3. Pace – The biggest difference in Game 6 from Games 2-5, was pace. 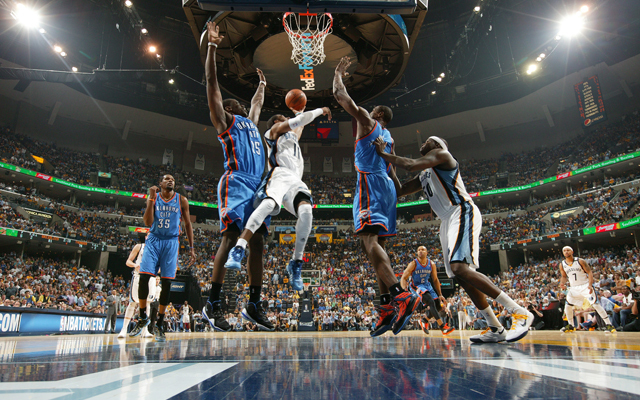 The Thunder pushed the ball and had the Grizzlies on skates all night. We’ll probably see a lot more small ball from the Grizzlies in this gam due to the Randolph suspension. But, it won’t be new to the Grizzlies. The dirty secret about the Randolph suspension is that the Grizzlies rarely played with Z-Bo in the 4th quarters of games. Gasol is a better big to have in small ball line-ups and it showed many times late in games in this series. So it’s set. 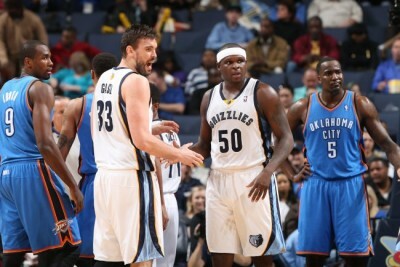 First up on Oklahoma City’s platter is the team that knocked them out of last season’s playoffs, the Memphis Grizzlies. It took a bit longer than expected for the playoff seeding to be decided, but in the end, it was almost manifest destiny for these two teams to meet in the playoffs once more. It’s like fate didn’t really like how the series played out last season (you know, no Russell Westbrook and all), so she decided to initiate a do-over. Fate has a habit of matching the Thunder against opponents they have a history with. Last season it was James Harden-led Houston Rockets in the first round (and the subsequent Patrick Beverly fallout). Two seasons ago, it was the Dallas Mavericks, who had beaten the Thunder the previous season in the Western Conference Finals and the Los Angeles Lakers, in a metaphorical passing of the torch. Wins in the regular season don’t always paint a clear picture as to how a series will play out. Many variables exist during the season that do not exist during the playoffs. Scheduling, fatigue, and sample size are all factors that come into play during the regular season, but have little to no bearing during the playoffs. But there are always factors within a season series that are highly applicable to the playoff series. 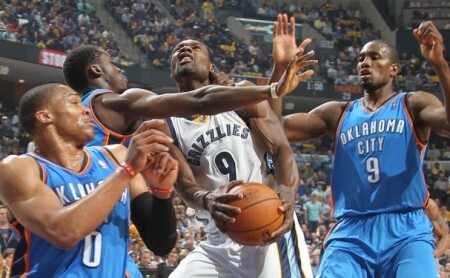 The Thunder won the season series against the Grizzlies 3-1. Injuries played a major role in the outcome of a couple of the games. 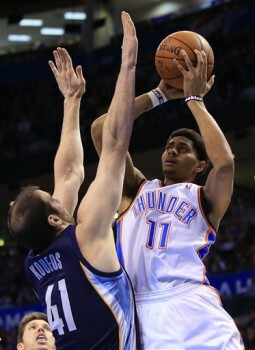 In the first game, a 116-100 OKC victory, the Grizzlies were without Marc Gasol, who was out with a knee injury. In the second game, a 90-87 Memphis victory, the Thunder were without Russell Westbrook, while the Grizzlies had their full complement of players. 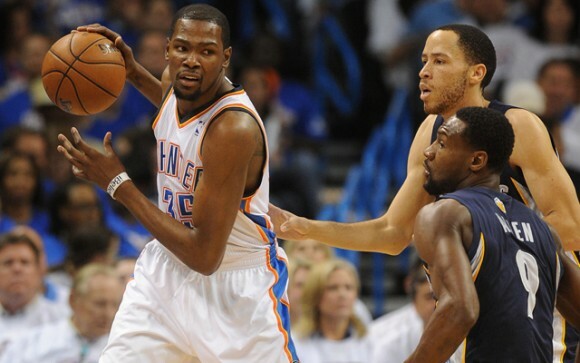 In the 3rd game, both team were without their starting point guards, but the Thunder prevailed 86-77. The fourth game, a 113-107 OKC victory, saw both teams basically at full strength (even though Kendrick Perkins was out and Thabo Sefolosha only played 4 minutes) and is probably more indicative as to how the series will go. Post defense – Strength on strength. 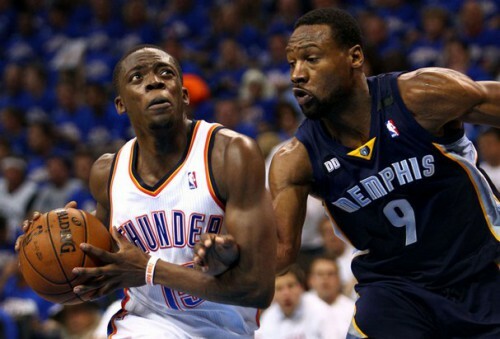 The Grizzlies’ offensive strong suit is the Thunder’s defensive strong suit. The Thunder have no problem packing the paint and retreating back on shooters. In fact, it’s what they do best (not the retreating back on shooters part, though). The Thunder have 4 players capable of defending Gasol, Randolph, and Kosta Koufos. What will be interesting is who starts off on who. Positionally, it should be Ibaka on Randolph and Perkins on Gasol. But, style-wise, Randolph’s bruising style is more suited for Perkins and Ibaka should be able to stay on Gasol, who likes to operate from 15 feet in. Pace – Memphis tries to muddy up the game and keep it in the 90’s. If they are able to run their offense (half court-oriented, using a lot of the clock), and are able to dictate how you run your offense, that keeps them in their comfort zone. But if you force turnovers, score in transition, and don’t allow them to settle in defensively, it becomes very difficult for the Grizzlies to keep up in the scoring department. Point guards – Probably the biggest factors in the series. Last season, the Thunder were without Russell Westbrook for the entire series. This season, the Grizzlies come into the series with a point guard that may have a nagging hamstring injury (Conley) and no back-up, due to Nick Calathes being suspended for 20 games due to a failed drug test. 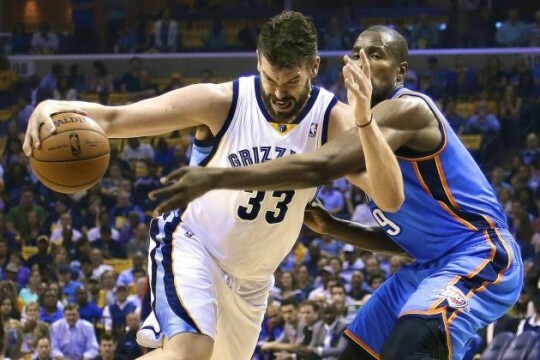 The Grizzlies come into the series with a slightly injured starting point guard and Beno Udrih. 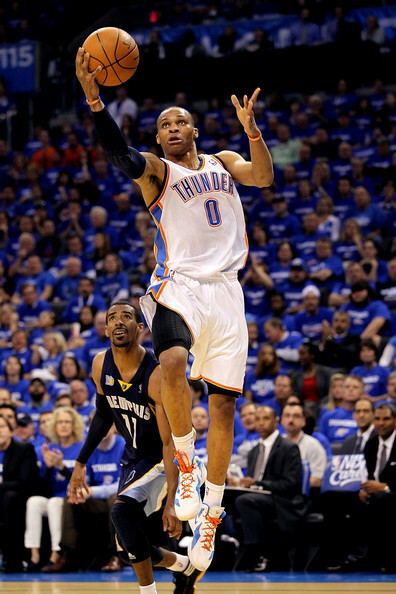 The Thunder on the other hand, come into the series with both their point guards in tow. 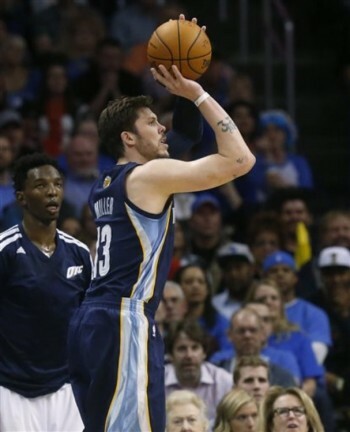 For Memphis – Their X-factor is Mike Miller. The one way to combat a defense that focuses on the paint is to punish it with perimeter shooting. Mike Miller has the ability to punish teams from the outside, and it’s one of the reasons the Thunder pursued so aggressively in the offseason. For Oklahoma City – Their X-factor is Reggie Jackson. With Calathes being suspended for the series, Jackson should run roughshod when he’s in the game against the bench. Two things: First thing, not only is Russell Westbrook back and healthy for the Thunder, but the point guard depth for the Grizzlies took a hit with Calathes’ suspension. Secondly, Kevin Durant has taken last season’s disappointment and learned from it. He’s more adept at finding the open man and willing to punish teams with the pass, instead of firing up an ill-advised jumper with two or three defenders draped on him.